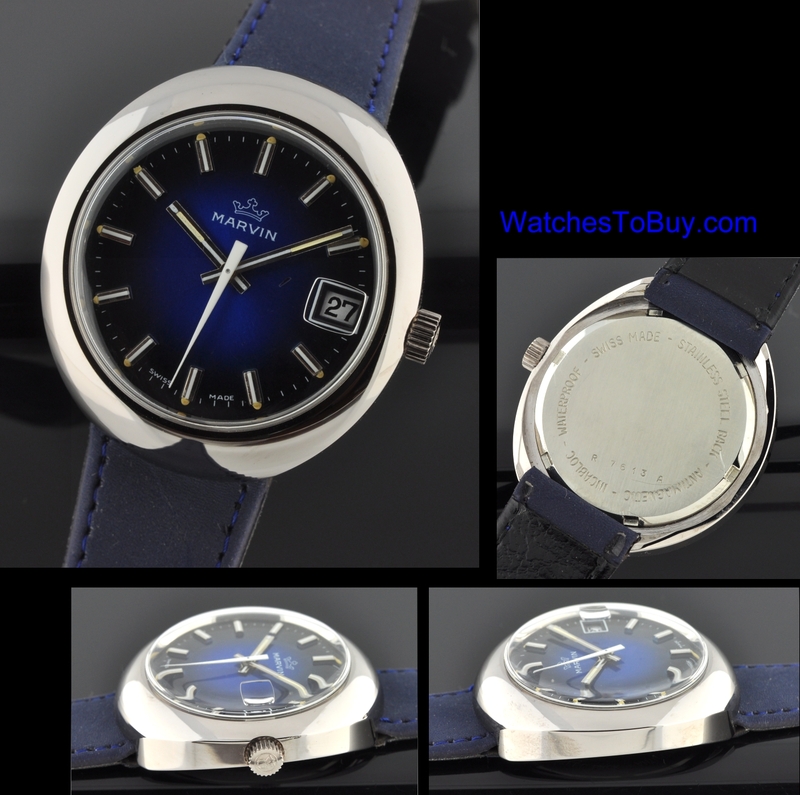 This 1970’s vintage MARVIN came from jeweler’s old stock and is UNUSED! The manual winding movement was just cleaned and an is keeping proper time. 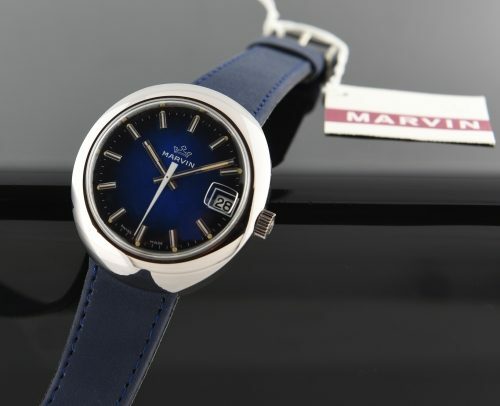 The blue dial with baton hands and markers are pristine. The original bubble-date crystal is present. The 36.3mm. shimmering case has a signed winding crown with the original band and signed MARVIN stainless steel buckle attached.